Lawmaker to try again with bill banning "sanctuary cities"
Backed by the lieutenant governor, Sen. Charles Perry filed legislation Tuesday to eliminate sanctuary cities. With the support of Lt. Gov. 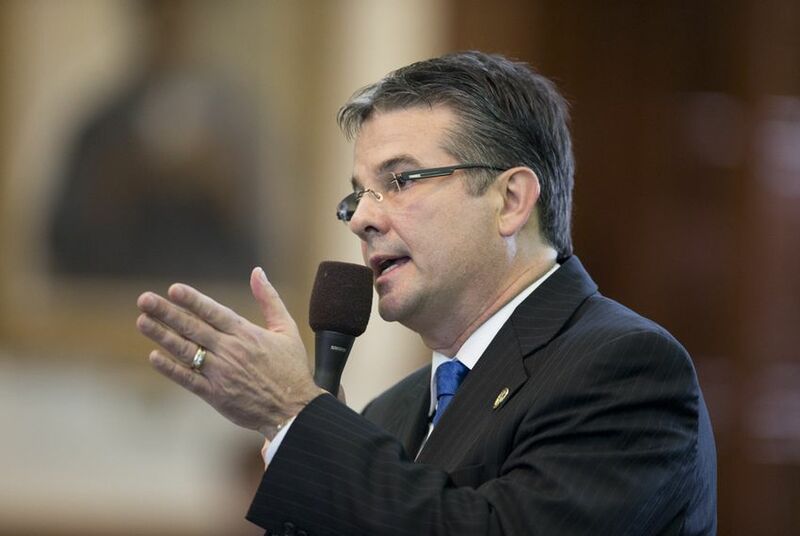 Dan Patrick, state Sen. Charles Perry filed legislation Tuesday that would ban sanctuary cities — a term used broadly to describe cities that refuse to enforce federal immigration laws. The new bill is similar to one Perry filed during the 2015 session that would have required county jails to cooperate with U.S. Immigration and Customs Enforcement when the federal agency tries to remove county jail inmates from the country. The legislation received broad support from Republican lawmakers but did not garner enough votes to make it out of the Senate chambers. Perry hopes that will change under a Republican president. “The American people made it clear that solving our illegal immigration crisis must be a priority,” Perry, R-Lubbock, said in a statement Tuesday. “That starts by eliminating sanctuary cities, securing our border, and enforcing the immigration laws we currently have on the books." The bill received a nod from Patrick, who released a statement calling the legislation "key to keeping our border secure." Patrick named banning sanctuary cities as one of his top 10 legislative priorities for the upcoming 2017 legislative session. "Cities that decide to act as safe havens for illegal immigrants are not only breaking federal immigration laws, they are also creating a magnet for illegal immigration," Patrick said in a statement following the filing of Perry's bill. However, the term "sanctuary cities" has no legal definition, and critics of the legislation argue that the designation is often applied to cities such as Houston that don't actually engage in "sanctuary" law enforcement practices. The legislation follows promises by Travis County Sheriff-elect Sally Hernandez that she won't hold inmates for ICE when the agency sends the county jail detainers for inmates. That would make Austin the state's first true sanctuary city. "I just don’t think you solve the criminal justice process by deporting them," Hernandez told The Texas Tribune in August. With the likely election of a new Democratic sheriff in November, Austin is poised to become the first true “sanctuary city” in GOP-ruled Texas if Travis County stops cooperating with federal immigration policies. In El Paso, local leaders hope to create a municipal ID card for the region's homeless, indigent and undocumented. But Gov. Greg Abbott has hinted that could make El Paso a so-called "sanctuary city."